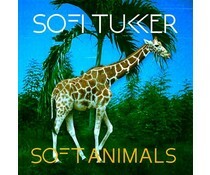 Sofi Tukker is a New York-based musical duo consisting of Sophie Hawley-Weld and Tucker Halpern. Grammy-nominated New York-based duo that crafts throbbing '90s house-inspired jungle pop. The following year, they issued the collaborative single "Best Friend" featuring NERVO, the Knocks, and Japanese vocalist Alisa Ueno. The track gained traction after appearing in a smartphone commercial and topped dance charts in the U.S., Belgium, and the Netherlands.